Home > Temporary Protected Status: What Is at Stake for 320,000 Residents and their Families? As the Trump administration begins to phase out Temporary Protected Status, many are asking about this form of immigration status. Temporary Protected Status (TPS) is a form of humanitarian protection that has been extended to residents of countries like Haiti, El Salvador, Honduras, and Nicaragua. TPS is a designation made by the Attorney General, in consultation with other federal agencies, based on a national catastrophe, extraordinary conditions that prevent residents from returning safely, or a request by the country. TPS designation lasts for 18 months and must be renewed in order for holders to remain in lawful status with a valid work permit, each applicant is thoroughly vetted with a background check every 18 months (i.e., Hondurans with TPS have been vetted 13 times), and there is no path to citizenship with TPS. When the TPS designation is made, anyone from that country who is present in the U.S. is eligible, but anyone who arrives after that date is not eligible and cannot apply for TPS. 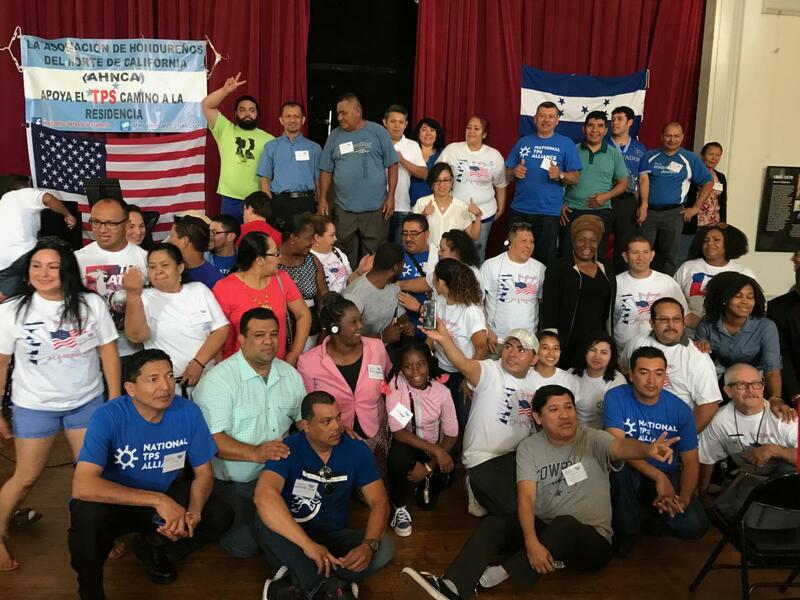 For this reason, TPS holders from Nicaragua, El Salvador, and Honduras originally arrived and have been living in the U.S. for more than two decades and for many Haitians, at least a decade. They live primarily in 21 states across the nation with the largest populations in California (55,000), Florida (44,800), Texas (44,800), New York (26,000), Virginia (23,500), Maryland (22,500), New Jersey (13,900), and North Carolina (13,100), and in locations as diverse as Georgia (9,200) and Nevada (6,300). They are parents of up to 275,000 U.S.-citizen children and one-third of all TPS holders own homes, among other contributions to local economies as workers and taxpayers. For our November policy call, we will feature our topline policy updates followed by an in-depth discussion about TPS holders, the impact of current policies on TPS families, and what is on the horizon. Temporary Protected Status: State-by-State Fact Sheets, Center for American Progress, October 20, 2017. Temporary Protected Status in the United States: The Experiences of Honduran and Salvadoran Immigrants, Center for Migration Research, The University of Kansas, 2017. What is TPS? [video], National TPS Alliance, September 13, 2017. Haiti's Ongoing Road to Recovery: The Necessity of an Extension of Temporary Protected Status, Committee on Migration, United States Conference of Catholic Bishops, November 2017. Extraordinary Conditions: A Statutory Analysis of Haiti’s Qualification for TPS, Global Justice Clinic, NYU School of Law, October 2017. Protecting Families, stabilizing the region: Why Temporary Protected Status is needed for Haiti, Catholic Legal Immigration Network, Inc., undated.